Austin Rees are specialist residential property managing agents and chartered building surveyors. The properties we manage include some of the most recognisable buildings across Sussex, London and the Southeast. Regulated by the Royal Institution of Chartered Surveyors (RICS) and the Association of Residential Managing Agents (ARMA) our services are offered in accordance with the ‘RICS Service Charge Residential Management Code’. 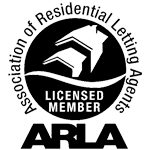 We are also accredited members of the Association of Residential Managing Agents (ARMA) and follow their advice and guidance. We are experienced managers of residential property and provide a unique management service tailored to the needs of each building. This high quality service ensures our client’s property is protected and residents can relax and enjoy their homes.